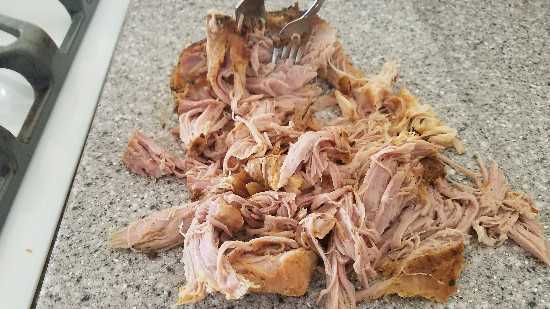 Who doesn't love pork carnitas? Well, this recipe is the best! Easy to make and delicious. We usually have the pork loins on hand in the freezer. Usually only a 1lb to 1.5lb pork loin found in your grocery store and very affordable! Usually under $6.00. 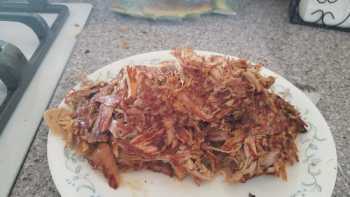 So this recipe is for a 1.5lb pork loin and if you are making tacos, will serve 3 to 6 people. Unless your friends are like mine and eat tacos like potato chips LOL. Try this one out and I think you will make it again and again. 1.5lb Boneless, skinless pork loin. You of course can use bone in with just a bit of fat but not too much. Rinse your pork loin. Remember I use a frozen one so run water over pork loin until you can take plastic wrap off, then rinse. 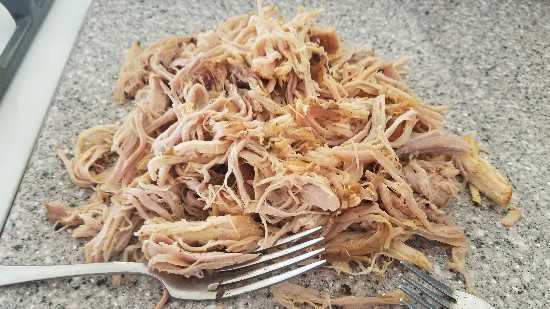 Rub olive oil on pork loin and place in slow cooker. Add all of the above ingredients starting with the dry ingredients then the juice of the orange. Remove from slow cooker and shred with a fork. 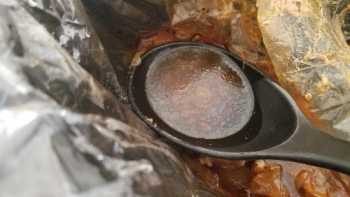 Depending on your pan, you may want to add a tablespoon of oil, or use a non-stick pan. Add shredded pork to your frying pan to brown. You should have about a half cup of juices in your slow cooker. Add that juice to your frying pan over the pork. Fry for about 5 minutes on a medium high heat to brown just ONE side. Remove from pan and mix well. Serve as tacos, burritos, or the side and enjoy! NOTE: Frying your pork loin to brown keeps your pork nice and moist. 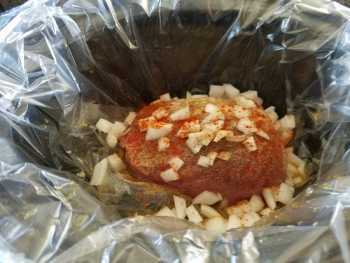 Some recipes call for browning in an over or broiler but you risk drying out your meat. 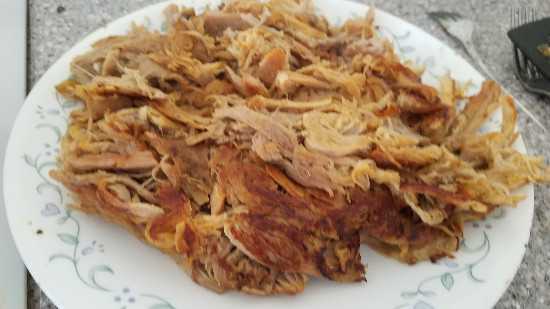 Trust me, using a fry pan and just browning one side does the trick for a nice crisp and juicy carnitas. 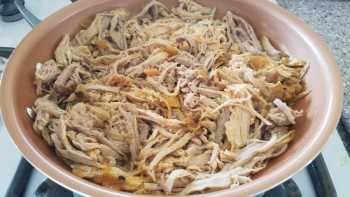 And you don't add any other fluid other than the juice from the orange to keep it moist while slow cooking. Some have asked about slow cooking from frozen and it does work without any issues. That's why the 8 hours of cook time and with a 1.5lb pork loin you won't have any issues. 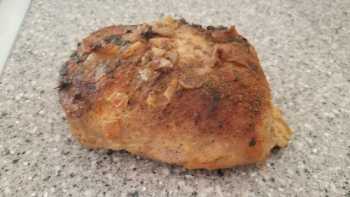 You also do not need to brown your pork loin first as you will be browning it in a fry pan.